Hunter Hamster. » ‘Snail Bob 2′ FREE is released! Today we released FREE version of ‘Snail Bob 2′ on the AppStore. 1. Paid Deluxe version with no ads. 2. Free version with ads. And you can choose the one you prefer. Thanks in advance for your reviews and ratings! P.S. Apple featured ‘Snail Bob 2′ free version in 117 countries. Yahoo! Hi there. 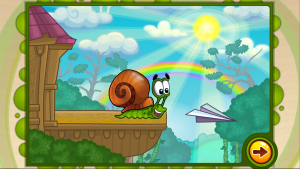 Do you have any plans for more snail bob games in the apps? My snail bob 2 is no longer working. Keeps crashing upon opening the app. Any ideas how to fix it? I have deleted and reinstalled.